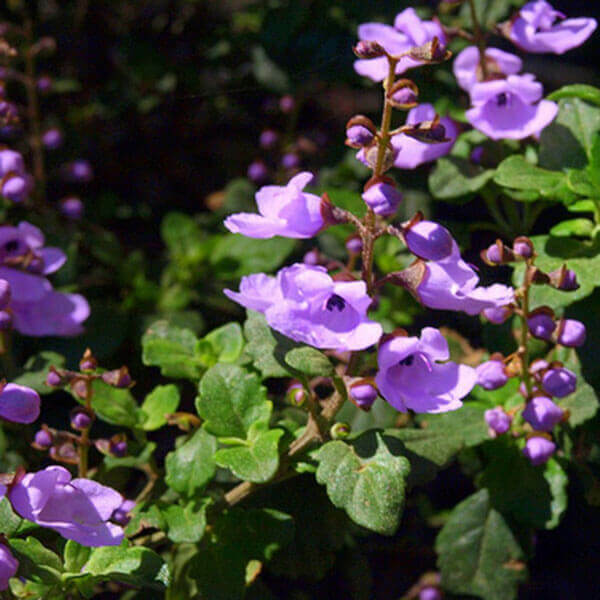 This is a lovely evergreen shrub that flowers in spring with masses of purple flowers. The foliage is scented with mint, hence it's name. Good for shrubberies or general garden planting.